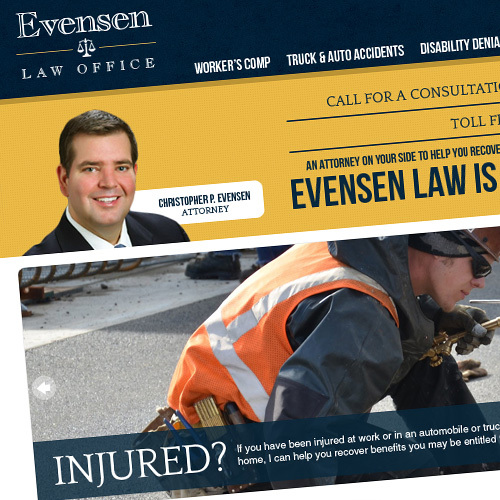 Located in Louisville, Kentucky, Chris Evensen has handled Workers’ Compensation claims for hard working individuals whose benefits were denied by the workers’ compensation insurance company. 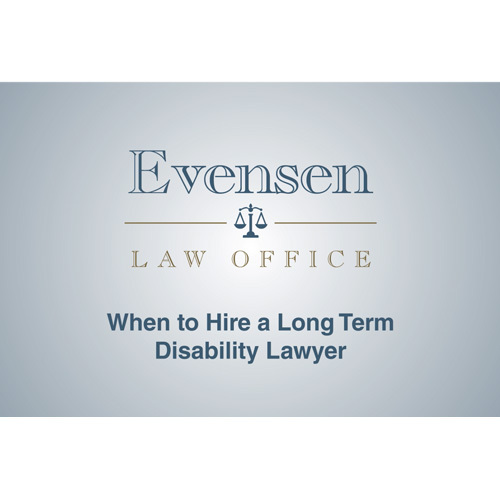 Evensen Law Office also assists individuals injured in automobile / truck accidents, slip and fall injuries, and various types of personal injury claims. 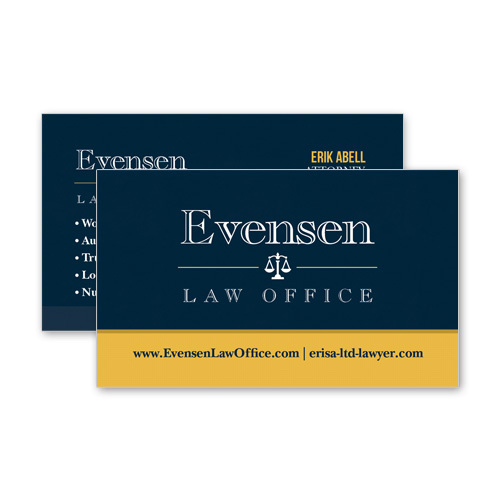 Think Webstore designed the Evensen website, as well as business cards and videos for the website.